I received this game from secret santa! The concept for the whole game is definitely unique and very interesting! The graphics and art is very cute and I really liked the whole atmosphere of the game. I really enjoyed the dialogue and box art in this game too. The controls are a bit floaty and makes the game very difficult to play at certain areas, oftentimes making me fall off something I spent a lot of time trying to jump onto. I think this is mainly due to the acceleration physics. Personally, I feel the acceleration physics did not add to the game and instead made it frustrating in a way that detracted from the experience. 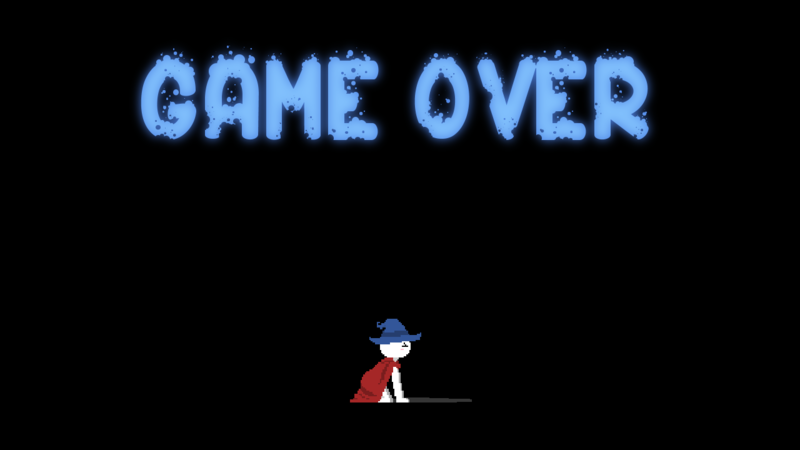 I think the game would be better without physics, and instead has a simple mario-style gravity/movement system.. Overall, its a very cute and unique platformer experience. 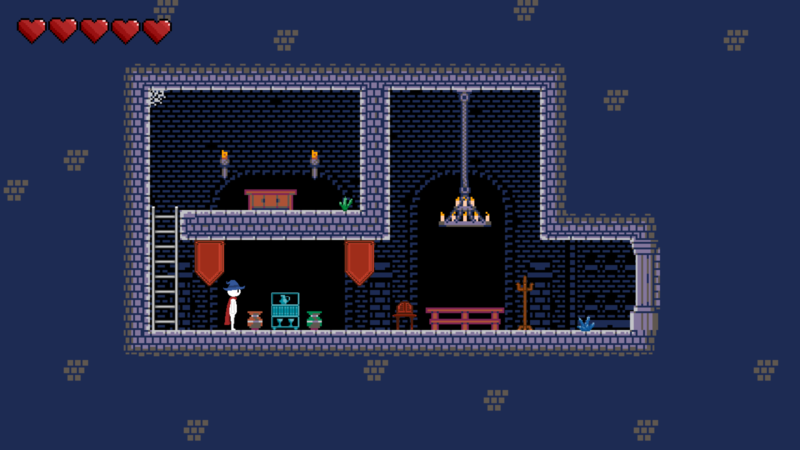 I think with a bit of tweaking, the game has lots of potential to become something really great! Character art in the message box, with how minimalistic the sprites are, it’s a plus to see their expressions in the boxes change according to their dialog. 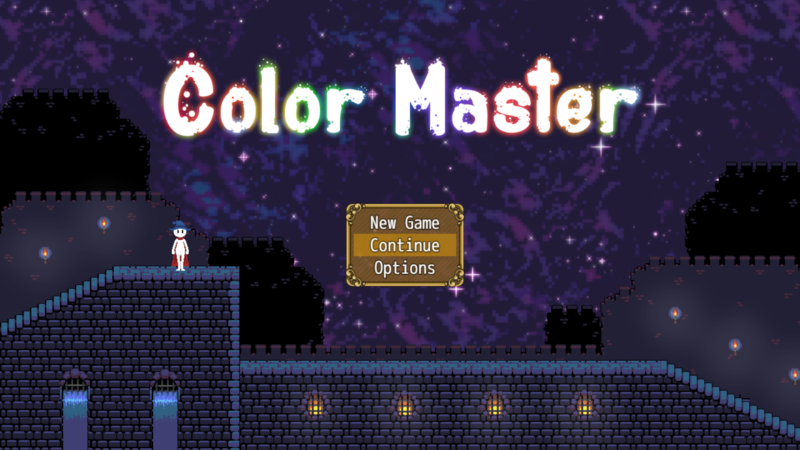 The color block mechanics, it’s a neat active time feature for a platformer. As everyone said, the movement controls are a little wonky, could use some more tweaking to make it less slide-y when the character lands. 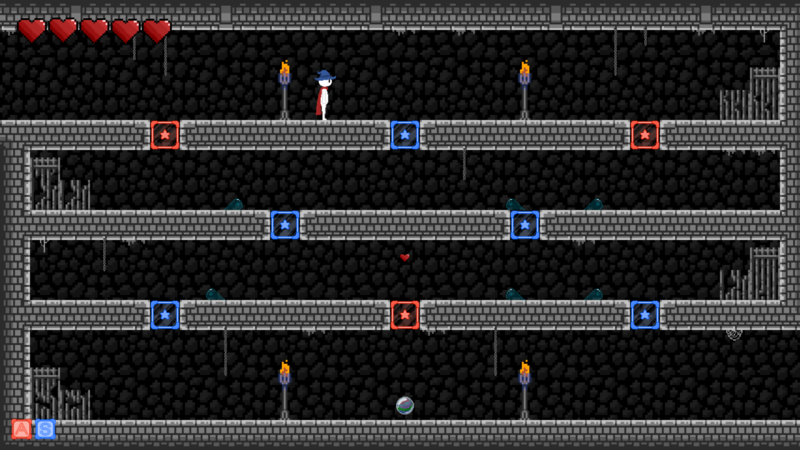 Moving color block mechanics. (XD yes it’s a good and a bad) It’s a nice concept, I would love to see it improved on. At the moment I feel that the moving ones are a bit of a trap since you have no idea if one block will move or not before they are activated, so there is no fixed pattern. Maybe if you keep moving blocks to only one of the colors so people can notice that they can plan in advance? Other things the developer needs to know? The fact that you made an interesting platformer in MV is surprising, keep it up! I like this game’s direction and would like to see it grow into a more polished game. Despite a few glitches that could be worked out later on, this game was a lot of fun to play! The character designs were very cute, and I enjoyed the concept a lot! I particularly liked the message box art, because it really showed off just how fun and cute the main character is! The puzzles start off a little simple, but then get radically difficult. The mysterious "S" villain was a hoot! I love how arrogant he is! LOL! So very full of himself in that classic bad guy way! This game has loads of potential, and is certainly worth playing. I do agree about the deceleration thing, and also about the controls. It needs a little more polish, but it's certainly a game with a great deal of promise! I am really glad you had fun playing it. I am going to polish this up a bit more in the future for sure. 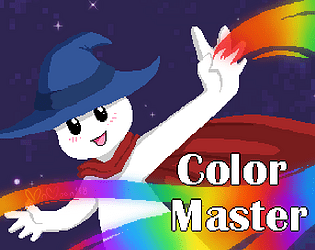 I learned a lot making it being it was my first time making a game in RPG Maker MV. Thankfully I have a couple of amazing friends that were able to give me some advice with it. Thank you for playing my game! I think the deceleration should be higher, at least while on the ground, so that it doesn't feel like constantly being on ice. I don't know how easy that would be to accomplish in this engine though. Also, the controls are really awkward. 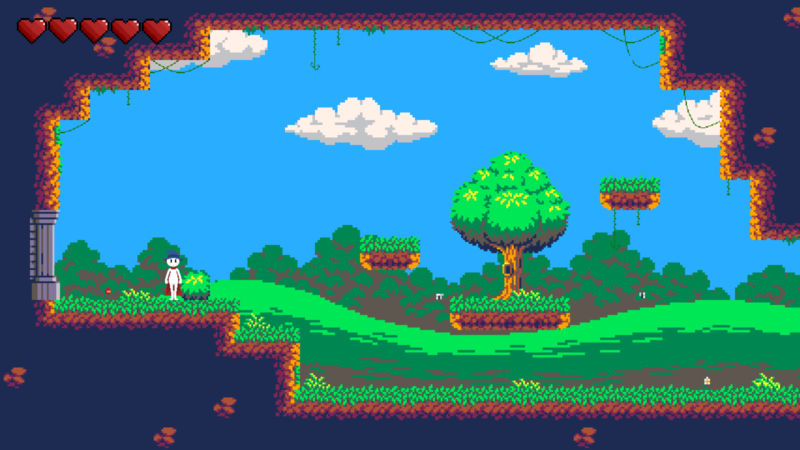 Overall, I think this would be a really fun concept if it were done with tweaked platforming mechanics. Yeah, I agree with you on the deceleration. I will have to go in and see if I can fix that along with the controls. I did my best to make them as comfortable as possible on a keyboard. I am really happy that you liked the concept. Thanks for checking out my game!